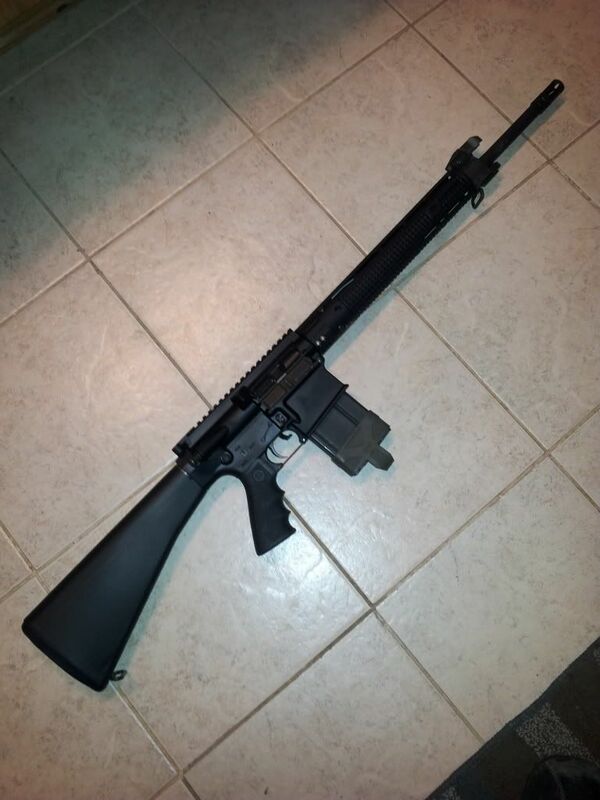 Selling a Armalite ar10 a4 with around 300rns shot through it. Comes with 20" barrel, a2 stock, apex machine free float hand guard, hogue grip, kns pins, Iron Ridge Arms G2 trigger, Phase 5 Tactical extended bolt release, BCM Mod4 charging handle, 1 15rnd mag, 2 20rnd mags, and 1 25rnd mag. If the price is right and FTF I'll throw in 80rnds of steel cased .308 ammo. does not come with front iron sight shown in pic.